Dún Laoghaire-Rathdown Council has refused permission for the development of Bulloch Harbour sought by developers in December. It has also refused the separate planning application to demolish the warehouses. Nearly 500 submission were made by locals in opposition to these two planning applications. This decision is a tribute to the strength of feeling to protect this beautiful area of our county. The developer may choose to appeal the decision in the next four weeks. If they appeal, then An Bord Pleanála will evaluate the case again and their decision will override the decision made by the council. 1. It is considered that the amount of site area, which is reserved for residential use is excessive and together with the design and layout of the development and the inadequate provision for marine related uses, seriously compromises the achievement of a quality mixed use and integrated development with adequate and appropriate provision for marine and harbour related activities. It is therefore considered that the development as proposed would seriously compromise the harbour’s ability to attract and maintain good marine related uses and would limit the scale and diversity of such uses, which the harbour area could support. The Planning Authority therefore considers that the development as proposed would be contrary to the zoning objective for this location of providing for waterfront development and marine related uses and would also be contrary to the requirements of Specific Local Objective 22 as set out in the 2016 – 2022 Dun Laoghaire -Rathdown County Development Plan. The proposed development would therefore be contrary to the proper planning and sustainable development of this area. 2. Having regard to the uniformity of the building design for the proposed quayside block, and the resulting visual scale of the building along its quayside elevation, it is considered that this prominent quayside element is lacking in the quality and distinctiveness of design required for this location and would result in an incongruous and abrupt visual form within the harbour area and would also be seriously injurious to the amenities of adjacent property within the harbour. The proposed development would therefore be seriously injurious to the amenities and visual character of this area and would be contrary to the requirements of Specific Local Objective 22, as set out in the 2016 – 2022 Dun Laoghaire -Rathdown County Development Plan. The proposed development would therefore be contrary to the proper planning and sustainable development of this area. 3. It is considered that the design and layout as proposed significantly isolates the proposed development from the harbour and adjacent coastal area. In particular, the development fails to integrate appropriately with the harbour area and also fails to take advantage of opportunities to address the adjacent coastline through appropriate surveillance from within the subject site. The proposed development would therefore be contrary to Policy LHB9 of the 2016 – 2022 Dun Laoghaire -Rathdown County Development Plan and would be seriously injurious to harbour amenities and public amenities at this location. 1. It is considered that the existing buildings have the potential to attract and support marine related uses. The demolition of these buildings in the absence of acceptable redevelopment proposals would significantly limit the potential of the harbour area to attract, support and maintain marine related uses and activities and would limit the scale and diversity of such uses, which the harbour area could support. 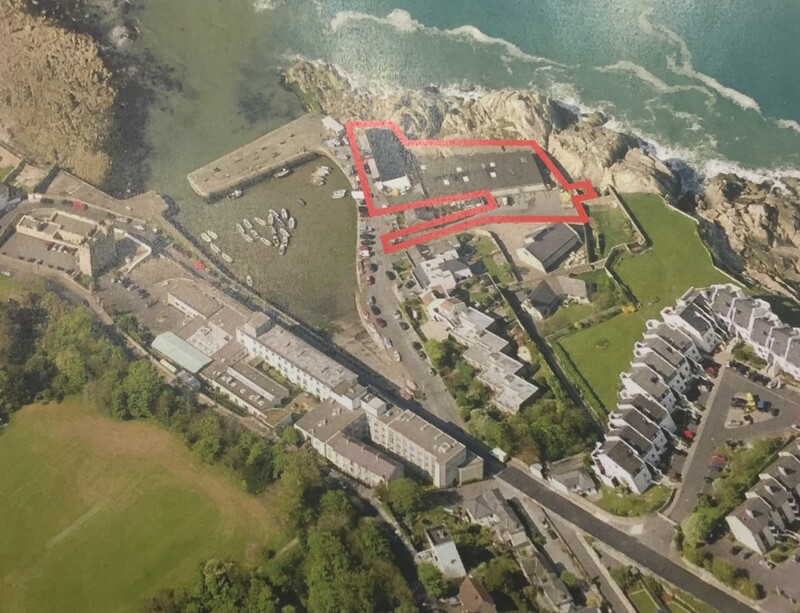 The proposed development would therefore be contrary to the land use zoning objective for this site of providing for waterfront development and harbour related uses, as set out in the 2016-2022 Dun Laoghaire-Rathdown County Development Plan. The proposed development would therefore be contrary to the proper planning and sustainable development of this area. 2. The buildings proposed for demolition are considered to enclose the harbour quay and inform the existing character and amenities of the immediate harbour area. The demolition of the buildings would significantly reduce the sense of enclosure, both visual and physical, along the quay and would have a seriously injurious impact on the visual amenities and character of this area. In the absence of acceptable redevelopment proposals for the site, it is considered that the demolition works as proposed would be seriously injurious to the existing character and visual amenities within the harbour area and would be contrary to the proper planning and sustainable development of this area. Having lived here at Bulloch Harbour for 60 years and being flooded frequently because of the over topping during nth nth-east gales I was applaud to find out that the previous owners of Western Marine wanted it zoned to “W” knowing the frequency of flooding and was not suitable for residential. I notice the Council are not objecting to the three houses at the back of the yard, if that development goes ahead it will cost the Council a lot of ratepayers money in claims due to flooding because insurance Co., won’t want to know. Penny wise pound foolish, on that note I wish to thank you Ossian for your support and hope the development will be more marine orientated which is badly needed. You were the person most affected by this plan. So I am delighted for you. I would like Monica Smyth to know that I signed the petition as did my daughter Celeste. Her much-missed brother Pat would have joined the fight. Well done Ossian. All good wishes and thanks. Cecily Golden. Thank you Cecily Golden, I had seen Celestes comments through out and wasn’t sure if she knew who I was, Pat would certainly be behind us. Plenty more work to be done to get a suitable development. I would hate to see these awful, awful changes to the panoramic view I have always enjoyed since childhood. I am totally anti damage done to such a beautiful view. I am a daughter of Billy Harpur,who would turn in his grave at hearing the deviating damage to one of his favourable views. Monica may remember us. Best wishes Yvonne Harpur and siblings. It would be good if the opportunity were taken to improve amenity round the coastline. Over the past three decades we have lost the Dalkey Island Hotel, the Cliff Castle Hotel and the Killiney Castle Hotel. There is nowhere around the coast to sit and enjoy the views or take shelter from the rain. Dalkey has lost its social and visual connections to the sea, in favour of exclusive residential development. Small parks and art galleries are all very well, but they’re rather dull. People like pubs, cafes, places to stay and to meet. “It is arguable that a Masterplan for Dalkey (as a whole) needs to be put in place. This would incorporate Bulloch Harbour, Coliemore Harbour, Dalkey Island, Sorrento Park, Dylan’s Park as well as the historic core itself, Dalkey Town to name but a few. Here are a few key points and suggestions which may help in putting Dalkey firmly back on the map as a prime destination. 1. Bulloch and Coliemore Harbours clearly have a lot of untapped potential. Instead of competing with each other, they could compliment each other. Imagine a ferry service operating to Dalkey Island from Bulloch Harbour via Coliemore Harbour. There could be another ferry service operating from Coliemore Harbour to Howth Harbour via Bulloch Harbour. Bulloch Harbour could have cafes, newsagents and tourist shops to generate some vibrancy while the some of the disused space adjacent to Coliemore could be reserved for food and coffee stalls. 2. Some of you might heavily disagree with this point. However, to me Dalkey Island is just lying there with no solid purpose. The protected structures on it continue to get battered by the elements. So, I think that each structure should be restored and re-enforced where possible. Hereafter, re-purpose them for uses such as a cafe and a small museum. Next, connect them all with a footpath (possibly made from cobble-stone to sympathize with the structures). Finally, some picnic tables at appropriate points wouldn’t go astray. The Harbour on Dalkey Island is already being restored. So, I don’t need to mention that. 3. Sorrento and Dylan’s Parks are also not getting enough use. For these, minor additions such as kiosks and food stalls could be provided. Their size would be limited to respect their surroundings. 4. Dalkey Town itself has improved in leaps and bounds over the past 10 years with re-invigorated yet tasteful shop fronts bringing them elegantly into the 21st Century. So, let’s continue doing this. Hopefully, Whelan’s where McDonaghs was will play a role too. The link to my original comment is here.